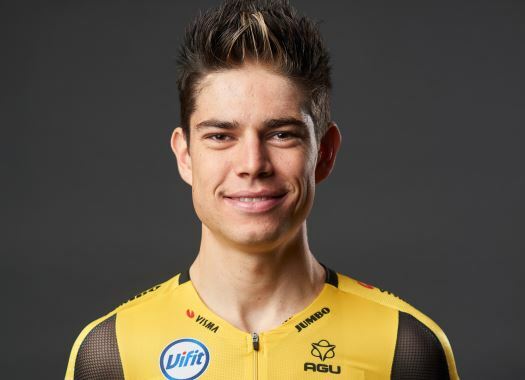 Wout van Aert (Jumbo-Visma) has crossed the finish line of Paris-Roubaix in the 22nd position. The rider suffered from bad luck during the race which stopped him from competing for the top positions. Van Aert started the race as one of the favourites to get the victory but things didn't turn out well for him. He suffered a mechanical problem at the Trouee d'Arenberg which forced him to take Pascal Eenkhoorn's bike for a moment and after he changed bikes, he slid and crashed in a curve. Despite all this, the rider managed to get back to the peloton and eventually to the front group, but all the energy he had spent before became necessary at the moment of reacting to the attacks of the breakaway. Moments later, he was dropped by the others and he couldn't fight for a good positioning at the end. "I am completely empty," said the Belgian at the end of the race. "The last twenty kilometres were hell. I had to dig very deep. I wanted to go for sixth place, but I quickly lost all the energy in my legs and I knew the race was over. "Due to my bad luck in Wallers and my subsequent crash, I wasted a lot of energy during my attempt to return to the front. And due to the crash, I had problems with using my gears. It’s a pity, but that’s cycling." The rider also wanted to get a good result as a way of honouring his former teammate Michael Goolearts, who died during Paris-Roubaix in 2018, but it was not possible this year. "I had very good legs and I really wanted to go for it," he explained. "But I am feeling much better than last year after this race. I would have liked to have honoured Michael with a top result. But I will definitely come back to try and win this race."